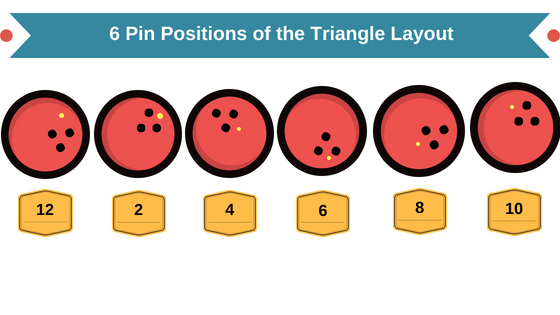 From the moment I heard of the Triangle Layout for drilling bowling balls, I loved the idea! It basically gave you 6 ball layouts in one ball! Now that is some incredible thinking right there! How can you not like that concept? It sure sounded like a winner to me. So, whats the catch? Well, you have to be a thumbless bowler. Either a one-handed bowler who does not use the thumb hole or a two-handed bowler. In case you don’t know, two handed bowlers don’t use the thumb on their strike ball. The Triangle layout would be most useful for two-handed bowlers.This is not new, but it is an interesting bit of recent bowling history that I wanted to share with you. What is The Triangle Layout? The Triangle Layout was just a marvel of some creative thinking! I have looked and can seem to find anyone who is claiming to have invented the layout, so if you know, please let me a comment below! It was a simple pattern of holes placed in a group forming a triangle. 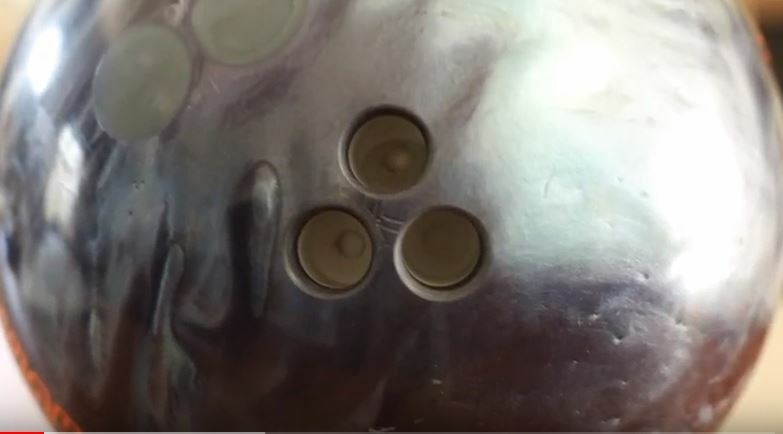 The idea is you can rotate two fingers around the hole pattern, and move the pin placement of the ball in six different locations. Wow! Now, in order for this to work,as I stated above, you have to eliminate using the thumb. Then you only use your fingers in the ball, and the extra third hole becomes your balance hole. However, USBC rules state you cannot have anything inside your balance hole.So, you would have to use conventional holes. That would be a problem if you like inserts! Here is the breakdown of the 2016 rules that explain which layouts are legal and why: USBC SPECIFICATIONS ON GRIPPING LAYOUTS. Another issue would be the size of the finger holes. They would have to be drilled big enough to fit the middle finger and then bowlers tape would have to be used to snug up the ring finger. That solves the fit problem, but won’t work if you like inserts. If you can get by with all that, the result is an arsenal in one ball. The simplicity of the layout allows you to just move your fingers to the set of finger holes that correspond to the pin placement you want use for your lane conditions. The theory sounds great and I would love to give it a try! But, I am not a thumbless or two handed bowler, so this would not work for me. Believe me, I tried both! I would favor the two handed method, just for the better ball control. But for the Thumbless bowlers, this should be compelling. Two handed bowlers should like this idea. They are using their other hand to control the ball and in theory should do rather well. Here is how the rotation would look, with the positions labeled like a clock. Now, I am sure these issues are quite acceptable to some bowlers, to allow them 6 different tweeks on their ball motion! However their is another downside. If you like tournament play, then you will have to use this ball only! The USBC counts every layout as a different ball. In tournament play you are allowed a maximum of 6 balls. Youth tournament play only allows 5 balls, so the triangle layoutis not allowed. If you understand what changing from pin up(above) and to pin down(under) means, then you understand the huge advantage of having it literally, at your fingertips! If you “don’t know” what pin over or below means, watch this video as Storm Technical Director Steve Kloempken explains ball layouts. You can move your hand position around the ball and change the pin position above as well as under in 3 different positions of each style. As I said, That is HUGE! I still find that to be an awesome arsenal in one ball! Bowlers Rant YouTube video Featuring Chris “Beans” LaBrado, explains and demonstrates the different reactions he obtained with the triangle layout. As I looked for as much information as I could get on the triangle layout, I ran into this post online. A bowler named (NoThumbNoProblem), took some notes while using the triangle layout. He posted the reaction he experienced in each of the pin positions on bowlingfans.com . He even drew some great diagrams of the path the ball took. These notes give everyone some insight on what to expect in the ball reaction in each position. Everybody is different so your results may not be the same. Their opinion is that these are just generic evenly distributed locations, and not specific recommended layouts to fit your style. For that reason, the performance will be mediocre at best. Others disagree and say they liked the triangle layout. If you are thinking about trying it, be warned the USBC is changing the rules, just in case you haven’t heard yet. I have never tried the triangle layout, nor do I bowl without a thumb in the ball. However I have experimented with a different set-up when I tried bowling with a glove, similar to Pete Weber’s glove. I liked it, and would tell anyone to try it!.But, it has it downsides also, like glove replacement becomes an expense. Thumbless Bowlers Using One Hand. 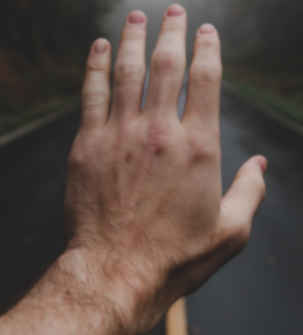 The Bowlers who have bowled with one hand without using the thumb, have been around for decades. 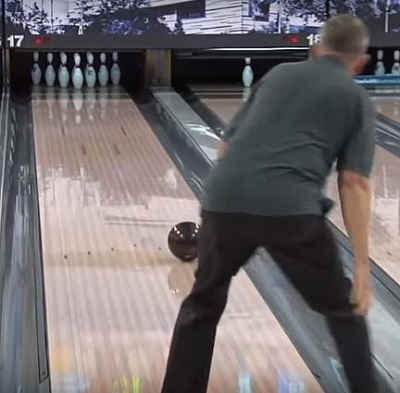 My earlier article Bowling Without a Thumb featured pro bowler Mike Miller. He was a thumbless bowler on tour back in the nineties. However, the downside was control of the ball. Without a thumb in the ball, it is harder to keep the ball balanced. Thus, some accuracy is lost at times, and an errant shot results. The two handed bowler is using the second hand as his thumb. He is keeping the ball balanced consistently with every shot, The Triangle layout would suit the two handed bowler much better and give him the advantage of much more control. The USBC changed the rules in 2016 that basically stated bowlers not using the thumb, could not have an extra balance hole. That changed things for thumbless bowlers, and renewed interest for the triangle layout. However, the rule has been changed once again and now it looks like the triangle drill will become illegal in 2020. All balance holes will be eliminated. The new USBC rule will take effect as of August 1,2018: They will still allow a balance hole until August 1, 2020, After that all balance holes must be plugged. Every hole in your ball must be used for every throw. Now of course this is for bowlers in leagues and tournament play. You can still open bowl with anything you currently have or will have. You could try the triangle layout, but it won’t be legal for USBC competition after August 1, 2020. Also the side weights have been changed a bit as well, as this will be effective on August 1,2018. -A maximum of up to 3 oz. of top or bottom weight and up to 3 oz. of static weight, thumb or finger weight and, provided the ball does not have a balance hole. 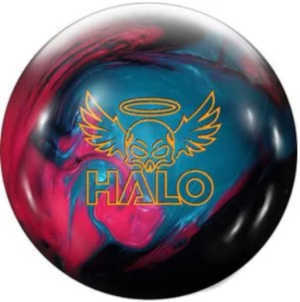 -Balls may still have a balance hole until August 1, 2020, but any balls with a balance hole must stay within the current static weight specification of 1 oz. per finger, thumb or side weight, and 3 oz. for top or bottom weight. You can read a complete article about the rule changes from Bowlingball,com here: The 2018 USBC Balance Hole Specification Update. From all I read it sounds like the triangle layout is on it’s last days. If you want to try this unique layout- you have to do it soon. You can still use it in open bowling, but it will not be allowed in league play after Aug 1,2020. Unless we get some other rule update, that third hole will have to be plugged. Each and every hole that is drilled into the ball will have to have a finger or a thumb inside it for every shot, period. It will be interesting to see how the scoring is affected for all of us with this new set of rules. Many players are not happy that balance holes they paid to have drilled are now going to be plugged at additional cost. It is a fact of life that the only constant is change…even in the game of bowling. I welcome all comments, and will answer each and every one. Just leave them below, and thanks for taking the time to read my post.